 Hamor Hollow Hedgehogs — USDA-Licensed Breeder and Rescue — Conveniently Located in Central New England! Committed hedgehog breeding and rescue since 2003! Schedule a visit to come play with and learn about hedgehogs. Just 45 minutes North of Boston or 35 minutes South of Manchester! There are no wrong answers! Filling out a questionnaire allows us to contact you with the dates and times of our Open Houses. We’ll custom-tailor your visit based on your responses! Facebook really is the best way to get in contact with us! When the phone rings it scares the hedgie babies. Open House schedules and news are regularly posted our Facebook Page. We're open by appointment only to keep things casual with as much personal attention as possible! Feel free to join us and learn even if you aren't ready for a hedgie yet! 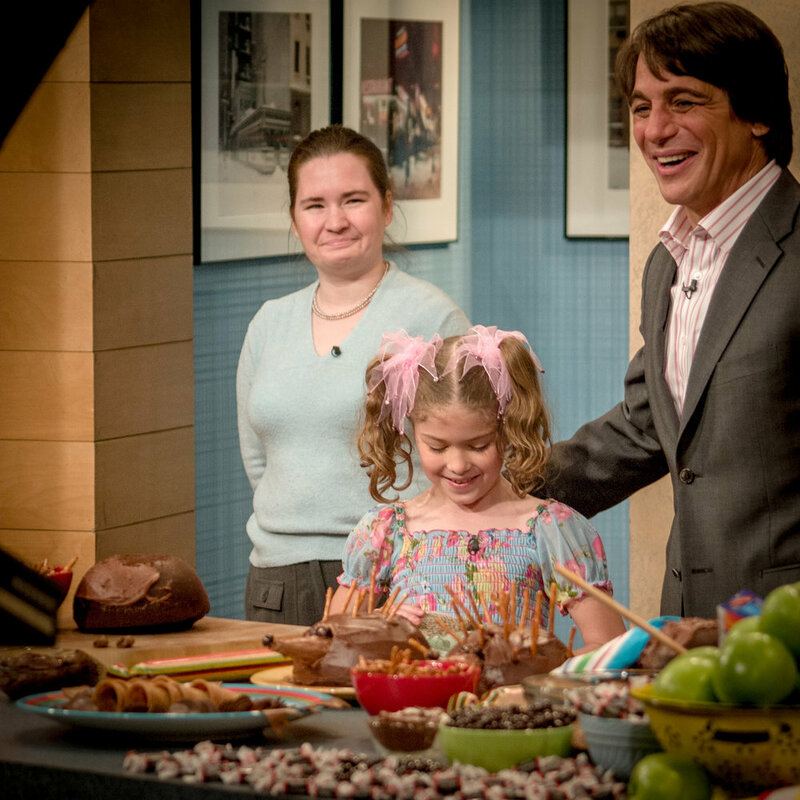 Members of our family since 1995, hedgies have been an important part of our lives ever since! 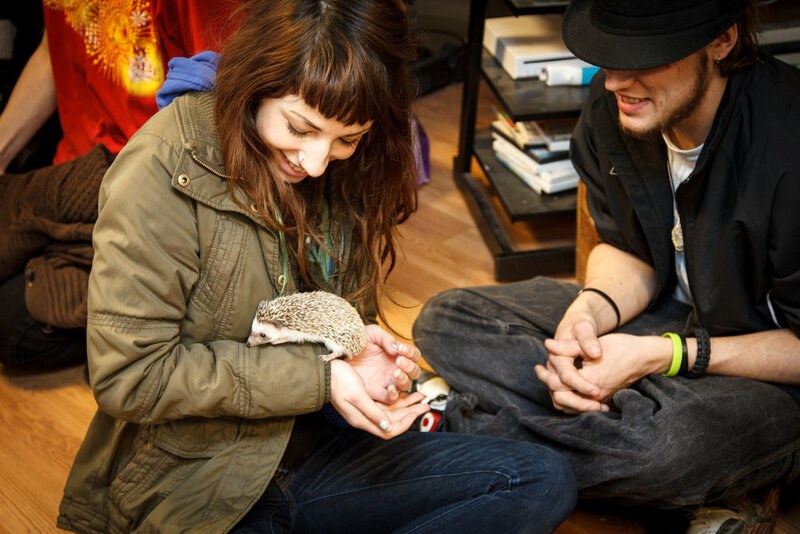 USDA-licensed since 2004, Hamor Hollow Hedgehogs was founded by Kelly and Sean Sosik-Hamor as a fun and cozy alternative to unlicensed pet stores that were selling unsocialized hedgehogs. 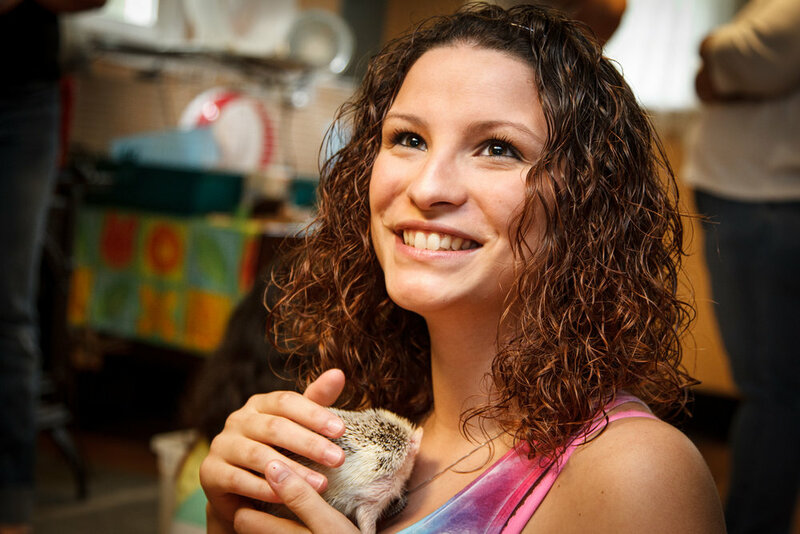 We can’t wait to match you with your perfect hedgie! Visiting the family for Christmas 2012 in Palmerton, PA. 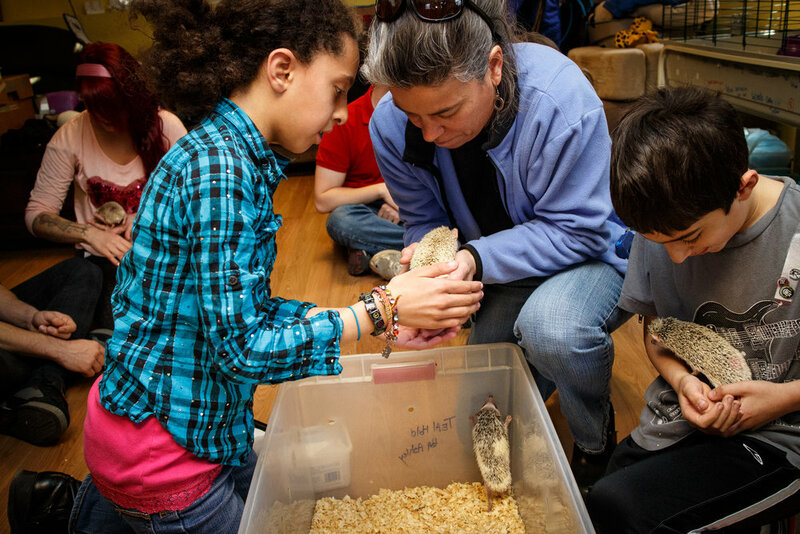 Whether you’re interested in adding a hedgie to your family or just want to learn, an Open House is the perfect introduction. Hamor Hollow hosts Open Houses almost every weekend! This provides a safe and comfortable environment to handle these unique critters and to see if they’re the right companion for you! The days are getting shorter so you have to pack in as much hedgietime as possible! Blended by Hamor Hollow, our mix of dry pet foods provides balanced nutrition for hedgehogs. Refined over the past 15 years, we’ve found a unique blend that keeps most hedgehogs at a healthy weight and provides a healthy mix of proteins, fat, and essential oils to help with dry skin. Hedgehogs are finicky critters! They require warmer temperatures so the correct choice of living space and enclosure is important! Be sure to check out Hamor Hollow’s list of favorite hedgie-approved supplies and toys! JOIN CHIPPOKE ON THEIR ADVENTURE! Chippoke is already World-Famous but isn’t quite done with their Blog or Instagram yet. But don’t worry, we’ll announce Chippoke’s grand voyages on the Hamor Hollow Hedgehogs Facebook Page!